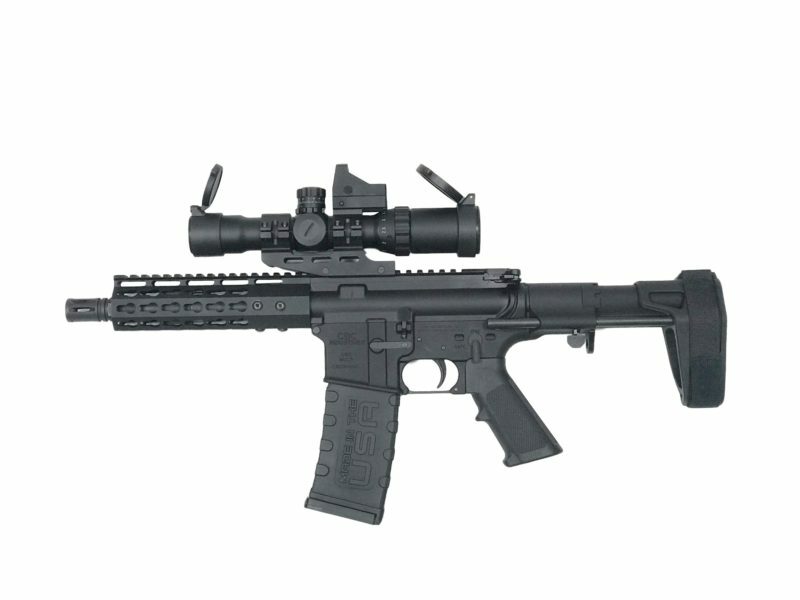 The CBC Industries CBCP-15 is a AR-15 based pistol Chambered in .223 / 5.56. Configured with a 7.5″ barrel, these versatile pistols come with a tactical Scope / reflex sight combo and a 3 position adjustable Stabilizing Armbrace as standard features. Violations of export laws are subject to severe penalties. Many of our products and their components are subject to the International Traffic in Arms Regulations (ITAR, 22 CFR Parts 120-130). Export is strictly prohibited without prior authorization or a license issued by the U.S. Department of State’s Directorate of Defense Trade Controls. Data including any documents or engineering drawings, prints, etc. that can be viewed, downloaded, or printed from our Web site may contain technical data which may not be exported outside of the United States, or released or disclosed to non-US persons (i.e. persons who are not US Citizens or lawful permanent residents) inside of the United States, without prior written authorization by the relevant US Government agency.